Welcome to Critter Lit Book Reviews! 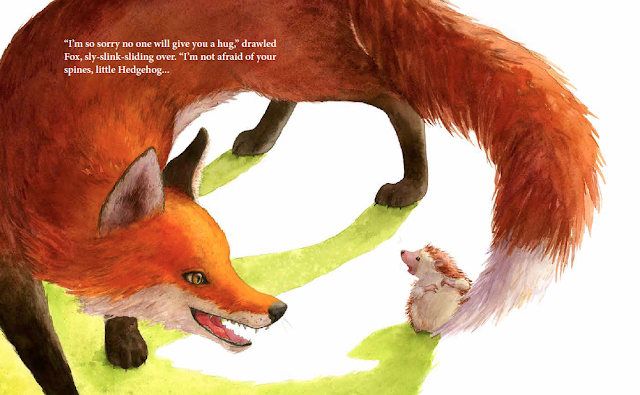 The first Thursday of every month Critter Lit will review two newly released, outstanding picture books. I love everything about this book. The words. The story. The art. Everything. This book just makes you feel good when you read it. It's one of the few books that I've actually hugged after reading. Meet Alma Sofia Esperanza Jose Pura Candela. Alma thinks her name is too long. "My name is so long, Daddy. It never fits." Alma's father grabs a family photo album and sits down with Alma to explain the origins behind her beautifully long name. Alma meets Sofia, Esperanza, Jose, Pura, and Candela, learning that she shares something with all of them. But Alma-- that's a name all her own. This book beautifully celebrates what it means to be proud of who you are and where you come from. I can't think of a more important book to share with our kids right now. ALMA is Juana Martinez-Neal's debut picture book as an author and illustrator. And what a stunning book it is. Definitely a favorite this year. For more information on Alma click here. Or to learn more about Juana's work, visit her online at www.juanamartinezneal.com or follow her on Twitter @juanamartinez. LOOK literally asks you to look at it, how clever is that?! And it makes me happy every time I do. The colors, style, and creative approach are composed together in such a charming, accessible way, that this book is fun for any reader. LOOK begins with two siblings waking up for the day before heading to the zoo with their mom. Each word used in the text is a double-letter word. The sibling's day is filled with animals, encounters, and objects that all contain a double "o": zoom, zoo, kangaroo, scoop, shampoo, book, moon, beginning and ending with "look." I was so impressed by the creativity and cleverness of this book. Initially, I thought this book would be a concept book only, simply listing double-letter words. But Fiona Woodcock weaves a story into the concept seamlessly. Each page felt like a wonderful surprise. My favorite page includes panda bears that "boogie." Bonus...Fiona's last name has a double "o" too. Oh and did I mention the art was created using BLO pens?! Growing up in the 90s, this warmed my heart. In case you aren't familiar with BLO pens, click here. You're welcome. For more information on Look, click here. Or to learn more about Fiona's work, visit her online at www.fionawoodcock.com or follow her on Twitter @FionaWoodcock. Meet Penelope Rex. A small(ish), orange, adorable T. Rex who is about to start school. And like most kids, she's pretty nervous about it. "Penelope's mom bought her a new backpack with ponies on it. Ponies were Penelope's favorite. Because ponies are delicious." "Penelope's dad packed her a lunch of three hundred tuna sandwiches and one apple juice." The big day arrives, and it turns out Penelope's class is filled with...CHILDREN! And Penelope loves children. Because children are delicious. 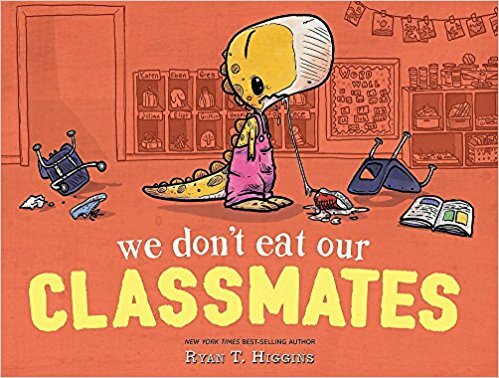 But we don't eat our classmates, right? Well, Penelope does, which makes it that much harder to make friends. Soon, all of Penelope's classmates are afraid of her. So she decides to befriend the class pet, who just might give her a dose of her own medicine. Hilariously written, with spot on pacing, this book is a must have for any library or picture book collection. Not to mention the art is great, as always, with any Higgins book. A perfect back to school read aloud. This is quite possibly the most beautiful book that Sophie Blackall has done. Which I realize is saying a lot because she's already won the Caldecott Medal for Finding Winnie, but this is hands down my favorite. I've been a huge fan of Blackall's illustrations since being introduced to them as a bookseller with the Ivy & Bean series. She has created such an amazing body of work as an illustrator, but HELLO LIGHTHOUSE is simply stunning. Blackall has taken everything into account when creating this gorgeous book, from the art itself to the trim size, which reflects the height of a lighthouse. The entire book is masterfully crafted together. I especially loved her use of patterns to emote the feeling of the ocean as the story progressed and the circular spot illustrations to recreate the intimate setting of a lighthouse. But the page where she shows the lighthouse in the fog is on a whole other level. The delicacy of the line work and feeling that she creates is so incredibly lovely. This book made me feel nostalgic, lonely, happy, and sad all at once. HELLO LIGHTHOUSE is a wonderful look at a job and the life of a lighthouse keeper that has been lost to technology. 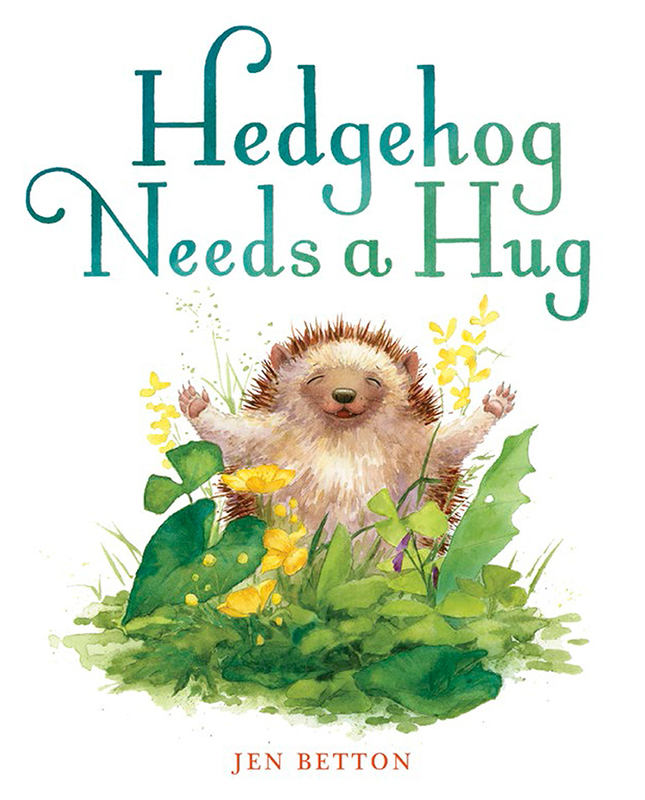 A must own for any picture book collection. If you haven't done so make sure you spend some time with this beautiful book. Dude, this book is awesome! Seriously. The entire story is told using just one word. Which is kinda crazy when you think about it, but totally works. For those of you obsessing over your picture book word count, pay attention! AARON REYNOLDS DID IT WITH ONE WORD! Dude! is a wonderful read aloud because it relies on the inflection of the reader's voice and delivery. I found myself laughing out loud at each page turn, while reading with my two-year-old, curious as to where the story was headed. Oh, and did I mention it's illustrated by Dan Santat? No biggie. I've always loved Santat's animals, in this case a platypus, a beaver, and a shark. He does such a wonderful job bringing their personalities to life. The added element of surprise with the shark is also well done. There have been a batch of new shark books that have recently come out, but this may be my favorite. Highly original and funny! Click here for more information on Dude! I absolutely LOVE the art in this book. It's stunning. I poured over each page, soaking up every detail Joseph Kuefler had to offer in his illustrations. The story is simple and lovely, with a touch of Ferdinand. 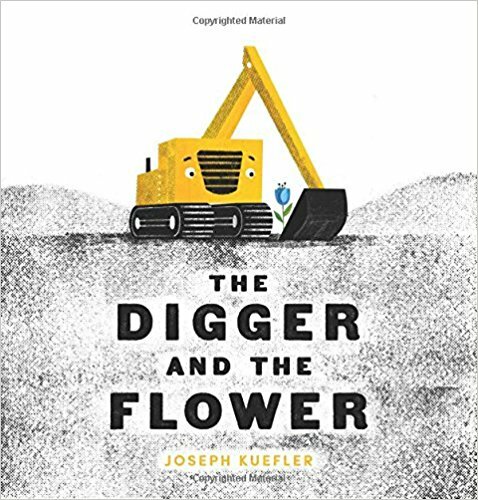 Kuefler juxtaposes hard, cold, modern machinery with nature, specifically a delicate flower, all the while creating a character as warm and friendly as the digger in his story. Although the art is graphic in nature, Kuefler provides rich textures, shapes, and a sound palette, adding tremendous depth to the art. Bonus: it has a digger in it, so it will go over well with the kiddos.